Dr. David Alan Shifrin, M.D., has been welcomed as the newest member of the Haute MD Network. An exclusive invitation-only organization, the Haute MD Network inducts members who represent the best and brightest doctors in their respective specialty and market. Dr. Shifrin, a board certified, double fellowship trained plastic surgeon, was handpicked for his exceptional talents in plastic surgery of the Body in the Chicago, Illinois market. The Haute MD Network—a media partner of Haute Living—is comprised of the most prestigious doctors in various fields across the United States. Members are revered for their skill in one of nine specialties: Breast, Face, Smile, Nose, Skin, Body, Orthopedic, Hair Restoration and Vision/Lasik. The Haute MD blog is a one-stop source for groundbreaking news, trends and events in the industry. Find the best doctors in your area by visiting our website: http://www.hautemd.com . David Alan Shifrin, M.D. 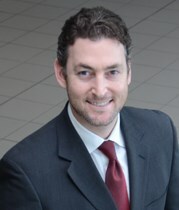 is certified by the American Board of Plastic Surgery and boasts many academic accomplishments that include multiple peer-reviewed journal article publications, national conference presentations and a position as an assistant clinical professor of surgery through the University of Illinois at Chicago division of plastic surgery. Dr. Shifrin uses the training he received in Michigan, Wisconsin and North Carolina as the backbone of his cosmetic surgery practice. The elite surgeons who mentored him helped foster his love of body contouring. Dr. Shifrin is respected for his work on tummy tucks, advanced liposuction techniques, Brazilian buttocks augmentations and mommy makeovers. Dr. Shifrin focuses his time improving the aesthetic appearance of his patients through the use of state of the art lasers, injectables and surgery. He prides himself on enhancing his patients’ physical attributes by blending his love of anatomy and science with his surgical expertise to artistically refine the outward beauty of his patients. His award winning practice has been recognized for exceptional patient care (Top Doctor’s Compassionate Doctor Award 2013). To learn more, visit Dr. David Alan Shifrin’s Haute MD Profile.